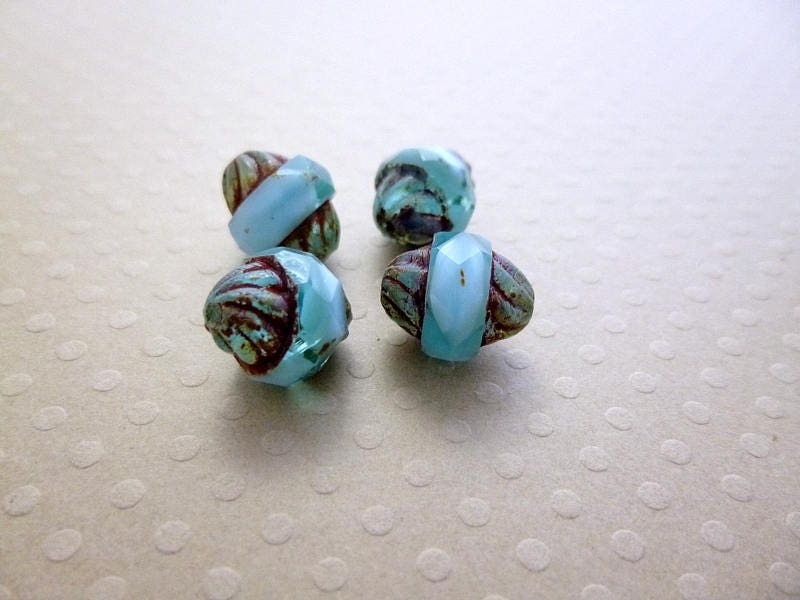 Set of 4 turbine picasso aqua glass beads. Drilled lengthwise. You can find other colors in the shop category "Czech beads"